PHOTOGRAPHING NEWS EVENTS (PHOTOJOURNALISM) AIMS TO PRODUCE IMAGES for the news media to accompany the text of a news story. These images must tell stories, showing details that help create a visual narrative. Anybody can take his camera and photograph a stunning sunset view. But if it does not tell a story, it is not photojournalistic. A photojournalistic image should attempt to catch the viewer’s attention and emotion to entice him to continue reading the story text. But for it to be a truly great one, it should be able to tell that story even without words. This is the best way to tell stories – through the power of visual imagery. A great photograph is one that is well composed, captures a moment that informs the viewer and evokes an emotion. How does a good photojournalist do this? This article is a short news event photography tips and techniques tutorial. Offhand, let us start by stating that the news image must build its foundations on the 3Cs of photojournalism – content, composition, and creativity. Content, composition, and creativity have to work together. However, to have a strong visual image, the emphasis must be on the content. To a strong visual journalist, content is king. The content he produces are images that convey thorough information, covering the who, what, why, when, where, and how of the issue. His images must be accurate. Therefore, he must not modify them with a computer software. Otherwise, he compromises the integrity of the issue. For this reason, film photography is a much preferred option to digital in photojournalism. Digital images lend themselves to possible fakery. More than mere information, images should inspire in the viewers the emotion of the scene. They should engage them to want to read the accompanying story. To do this, the image must portray the action and energy of the event, as well as communicate the emotions and reactions of the subjects in the visual content. This provides the reader with context to help him understand the story and dynamism to engage him emotionally. 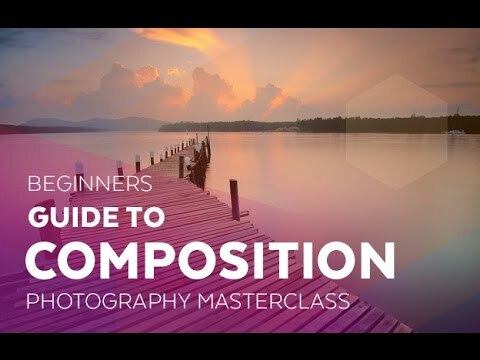 Composition is a photographer’s way of presenting his content to the viewers. Like a gift placed inside a box container, his content needs to be placed so nicely in good composition. He achieves this by properly arranging the visual elements of an image within the frame of the photograph. Doing so provides him a means to communicate effectively the image’s intended message and emotions to the viewers. Let us use an analogy to understand the relationship among the 3 C’s of photojournalism. Let us see how creativity relates to content and composition. During gift-giving seasons, we see people presenting gifts in boxes wrapped with beautiful papers adorned with ribbons. The gift represents content, the box represents composition, and the wrapping paper represents creativity. Photographing news events from different angles lends itself to the exercise of creativity in photojournalism. Move around the occurring event to get some fresh perspectives for your image. Climb up a building to get a bird’s eye view or kneel down low to get a worm’s eye view. To make your perspective more artistic and interesting, you may need to use a wide lens. To emphasize the most important subject, look for a plain and simple background and make it a little bit blurred. The background should not disturb the subject in focus. Capturing the right moment in photojournalism requires full alertness. The right moment you have been waiting for may last for only one or two seconds. And so, you need to plan for this. First, prepare all news event photography equipment you will need for the job. These include your camera, lenses, lighting, and anything else necessary to get your job done. Then, lock in your camera settings for outdoor event photography, according to the environmental conditions of the event. Determine the best lens for outdoor event photography. This is if this is an outdoor event. If indoors, prepare your settings for indoor photography with flash. For both outdoors and indoors, dial in the right settings and get the right exposure before the right moment of the action starts happening. Having prepared these, anticipate the occurrence of the action. This means you must be in the right area and have the right composition. While waiting for the right moment, start shooting pictures here and there, even before the situation to shoot the most important picture arrives. You just do not know when that critical moment will come. When it does, you are ready with your camera, even before the opportunity passes you by. Or, maybe one of those pictures you took during the wait is already the most important one. Let us now veer away from the discussion of how to create great visual content for your photojournalistic work. Let us now talk about your work as a photojournalist. As a photojournalist, you sometimes receive your assignment from your news media company to cover an event in a strange land far away from home. If this is the case, there are important factors you should consider and prepare yourself for. Your number one consideration is security. Just on this trip alone, traveling by yourself puts you in harm’s way. Many a photojournalist have experienced untoward incidents on their persons in these types of places. So, how do you secure yourself as a photojournalist? For this, you will need a local helper. Get one who can translate, and drive for you, for instance. He must be able to help you talk you way out of unfavorable scenarios. While there, make as many friends among the locals as possible. You just do not know when you will need them. Socialize with fellow photographers, if possible. Do not avoid their company and seclude yourself to examine your pictures at the end of your day’s work. Enter the scene as invisible as possible. Go minimal. The less gear you carry with you, the less target you make of yourself. Have a good quality backpack that will lock up to carry these gears. Above all, do not enter somebody’s private space without permission. If they give the permission, offer them later some sort of token for their generosity. The only exception is when you find the subject performing an illegal or immoral act or becoming a victim of an untoward incident. These are photojournalism events you need to document for the world to see. This article has dwelt on how to photograph news events and how a photojournalist should conduct himself in the field.